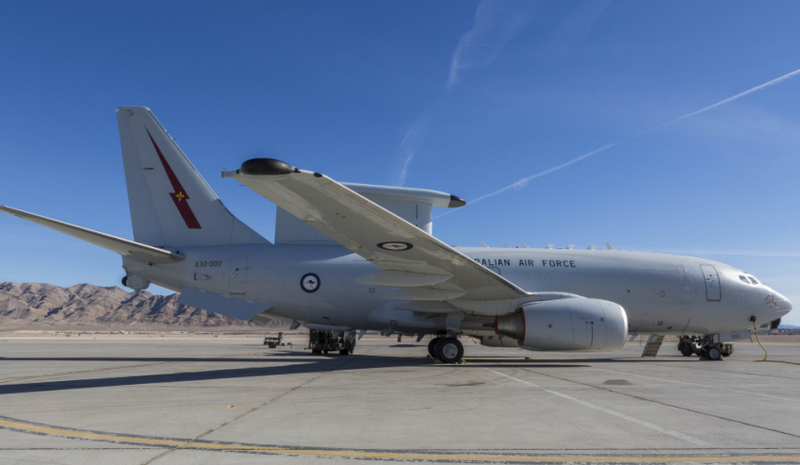 The Commonwealth government has announced the signing of the E-7A Wedgetail Head Agreement with Boeing Defence Australia (BDA). The agreement integrates $1.5 billion in current contracts into a flexible overarching framework for this significant capability that supports 600 jobs across Australia. Minister for Defence Christopher Pyne and Minister for Defence Industry Steven Ciobo welcomed this new contracting framework, which will further improve the partnership between Defence and BDA for current and future BDA work and capability upgrades through the life of the Wedgetail capability. "This important agreement will simplify and make more efficient the contract arrangements that support this world leading capability. The Boeing-built Wedgetail was designed for the Royal Australian Air Force and provides airborne surveillance, communications and battle management systems," Minister Pyne said. The Boeing 737 airborne early warning and control (AEW&C) is a state-of-the-art system providing powerful airborne surveillance, communications and battle management. The 737 AEW&C system encompasses both the Boeing 737-700 aircraft platform and a variety of aircraft control and advanced radar systems. Consisting of components created by Boeing and Northrop Grumman, the 737 AEW&C represents the standard for future airborne early warning systems. Advanced open-system architecture with standards-based design for cost-effective integration and add-on flexibility. "The extension to the ISSC will allow BDA to deliver long-term value-for-money Wedgetail sustainment services to Defence and see continued growth in Australian industry content, particularly in systems and software engineering," Minister Ciobo said. This arrangement and the award of the ISSC extension acknowledges the excellent relationship between the parties, and is an important step in meeting First Principles Review reform priorities while maintaining the strategically important E-7A Wedgetail AEW&C capability. Darren Edwards, Boeing Defence Australia vice president and managing director, said the Wedgetail Head Agreement Deed – which consolidates the existing Wedgetail In-Service Support and Project AIR 5077 Phase 5A contracts – is a testament to the proven success of the integrated Boeing, Commonwealth and RAAF team to deliver for the warfighter. "The fleet sustainment and upgrades that will be delivered under this agreement will ensure the Wedgetail remains the centrepiece of Australia’s national air defence capability and a critical asset for the RAAF," Edwards said. Life cycle upgrades and sustainment for the E-7A Wedgetail is valued at more than $1.5 billion and Boeing’s support for the AEW&C global fleet across Australia, Turkey and the Republic of Korea provides employment for approximately 600 Australians and work across 200 local suppliers. Head of Aerospace Systems Division Air Vice-Marshal Catherine Roberts said, "This agreement and the award of the in-service support contract extension acknowledges the continued excellent performance and partnering relationship between Boeing Defence Australia and the Australian Department of Defence. It is an important step in meeting our First Principles Review reform priorities while continuing to deliver world-leading fifth-generation Air Force capability." Based at RAAF Base Williamtown, the six E-7A Wedgetails significantly improve the effectiveness of the ADF. They are capable of communicating with other aircraft and providing air control from the sky, and can cover 4 million square kilometres during a single 10-hour mission.